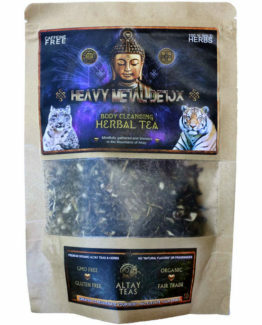 A New Herbal Tea in stock! 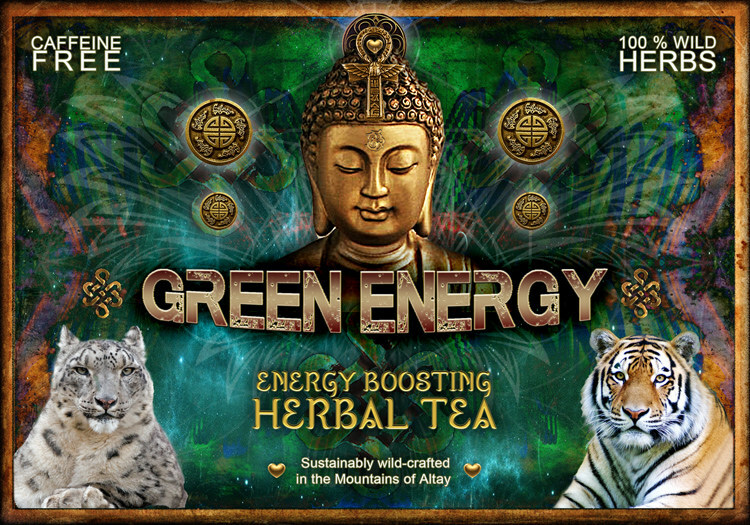 ” “Green Energy”” – YOUR NATURAL ENERGY BOOST! It’s great for the whole body and naturally boosts energy! 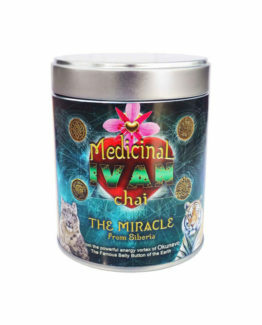 Contains unique Siberian herbs called “Ivan Chai” and “White wing”. These unique herbs together are true Wellness Powerhouse! “Green energy” has high vitamin count, lots of essential minerals and bioflavonoids, and has strong antibacterial effects. 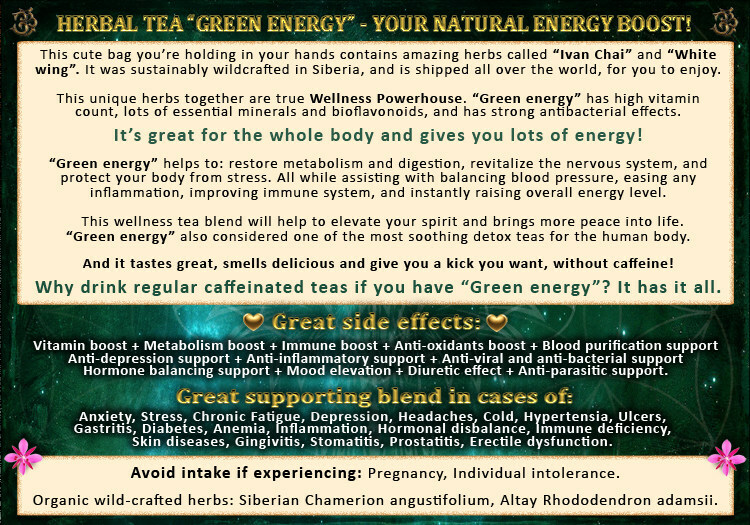 “Green energy” helps to: restore metabolism and digestion, revitalize the nervous system, and protect your body from stress. All while assisting with balancing blood pressure, easing any inflammation, improving immune system, and instantly raising overall energy level. 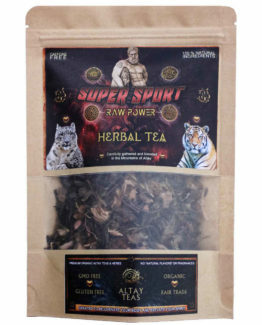 This wellness tea blend will help to elevate your spirit and brings more peace into life. It was sustainably wild-crafted in Siberia, and is shipped all over the world, for you to enjoy. Why drink regular caffeinated teas if you have “Green energy”? It has it all. A True Herbal Tea Experience! Clean and wash it very well. Make sure all silicon lining on strainer is in proper position, and covers both sides of the edge of the strainer basket. 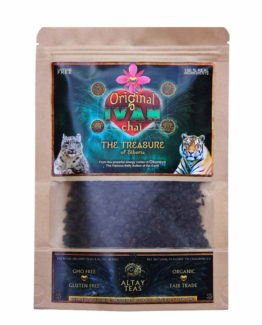 Fill tea strainer basket with herbal tea up to 3/4 of basket. Close bottom lid tightly. 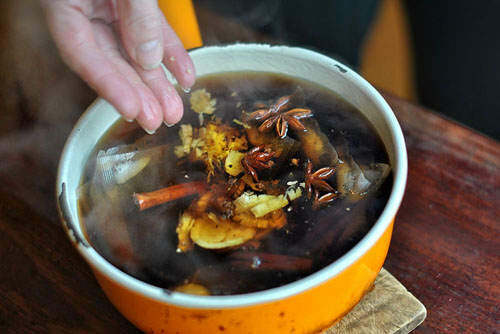 Add hot water (preferably not boiling). Enjoy tea through the day, keep adding water, hot or cold. For most benefits, drink it 30 minutes before any meal. 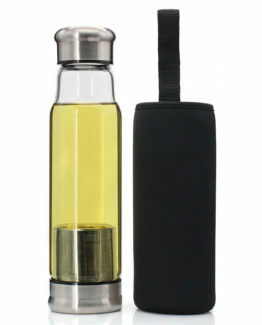 In case you don’t have a bottle with strainer, any tough glass container will work. Organic Wild Herbs: Siberian Chamerion angustifolium, Altay Rhododendron adamsii. *These statements have not been evaluated by the Food and Drug Administration. This products is not intended to diagnose, treat, cure, or prevent any disease.